What do you do with old glasses ? Are you still hoarding those old sunglasses and specs? Prescriptions change as does fashion and I know that as soon as I get a new pair of specs the older glasses get relegated and put in a drawer to gather dust until I have a clear out. 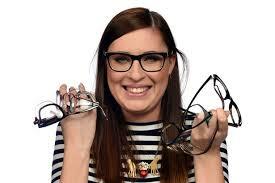 If you do the same, when you next have a clear out, don’t throw those spectacles! There are loads of ideas for what to do with old prescription glasses from creaating to donating. I enjoy crafting when I have time and I am currently working on a display of vintage eye wear in boxed frames, an idea I got from Pinterest. If you are a crafty spec wearer there are plenty of DIY projects that will make use of your old glasses. Spec frames to picture frames? Simply print out some of your favourite photos, about wallet-sized. Trace around the glasses frame before cutting the picture to fit the lens. Using a hot glue gun, dab some glue around the glasses frames, stick the pictures on, press firmly, hold for a few seconds and there you have it. Check out this tutorial for this and other ideas for your eyewear photo frames. be one I will definitely try. One activity we had when we ran a Kids fun day was decorating eye wear and many ideas can be found on Pinterest. You change the look of an old pair of sunglasses or simply dress up a pair for fancy dress or even a masked ball. Start here to get some ideas but let your own imagination run riot. Not into crafts? Then you could donate. We have a collection box on site for Vision Aid Overseas, an international charity dedicated to fighting poverty by transforming access to eye care in developing countries. 640 million people – 10% of the world’s population – are disadvantaged by poor vision and a lack of spectacles. 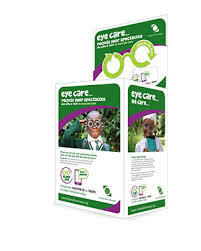 Vision Aid Overseas ensure spectacles donated by you, are recycled in an environmentally-friendly way and income generated from recycling is used to fund various overseas projects. Whilst in the past glasses were sorted and reconditioned and sent overseas, this is no longer the case as it is not cost effective. Gold coloured spectacles are separated and sent to a specialist metal recycler where they are smelted to raise funds. Vintage, old or retro spectacles are separated and offered for sale to eyewear merchants who will restore and sell them. Any other spectacles are separated by their frame material (plastic or metal) and recycled in the most environmentally friendly way possible. This is normally incineration where they are converted back into energy.